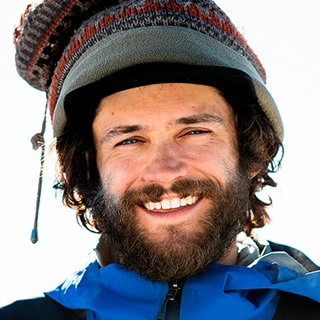 Entranced by an uphill stride and downhill glide, Nick Russell has dedicated his life to moving through the mountains. Cutting his teeth as a young grom in the East Coast contest circuit, Nick’s riding has steadily progressed to include a deep exploration of the impressive Sierra Nevada backcountry, which he now calls home. Utilizing the simplicity of human-powered travel to reach seldom visited lines, Nick’s true appreciation lies within the process.